Federal Reserve Board Chairman Jerome Powell delivers the Federal Reserve's Semiannual Monetary Policy Report to the House Financial Services Committee on Capitol Hill in Washington, U.S., February 27, 2019. 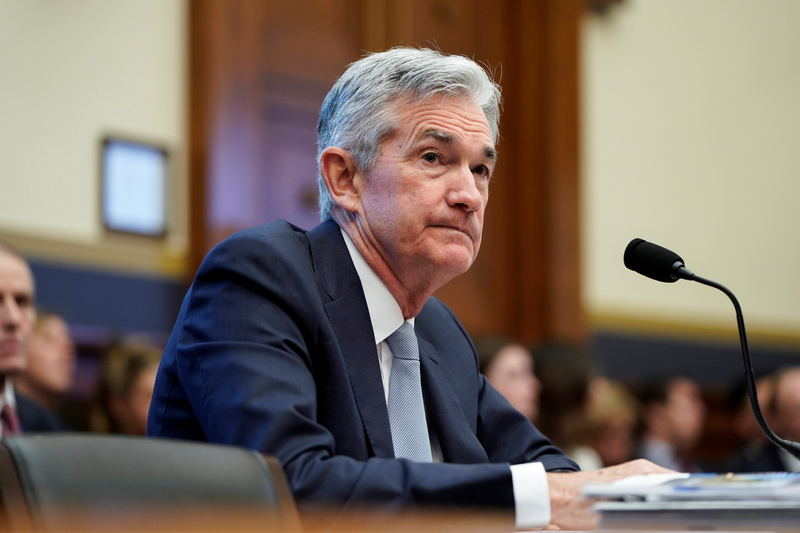 In testimony to the U.S. House of Representatives on Feb. 27, U.S. Federal Reserve Chairman Jerome Powell said the central bank would be in a position to stop the process of balance-sheet runoff later this year. At the end of 2018, the Fed’s total assets stood at just over $4 trillion, up from under $900 billion at the end of 2007, though down from an early 2015 peak above $4.5 trillion. Among the liabilities of the central bank, currency in circulation totaled $1.7 trillion at the end of 2018, more than double the amount 11 years earlier. Bank deposits, or reserves, were $1.6 trillion, up from typical levels of just tens of billions of dollars prior to the financial crisis of 2008-2009.